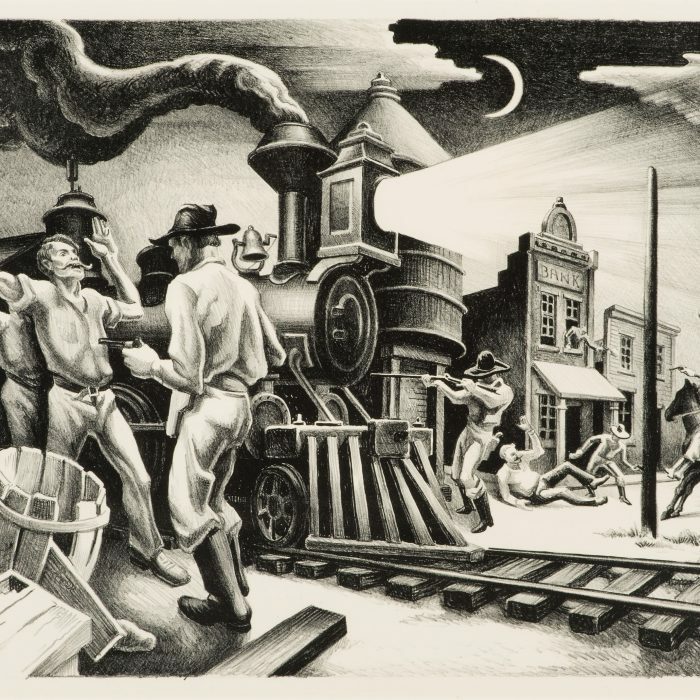 Thomas quit high school when he was 17 and that same year started his first job as an artist at The Joplin American . 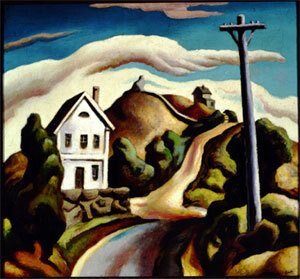 After attending the Western Military Academy in Alton, Illinois, in 1907 he left for Chicago to study at the Art Institute for one year. 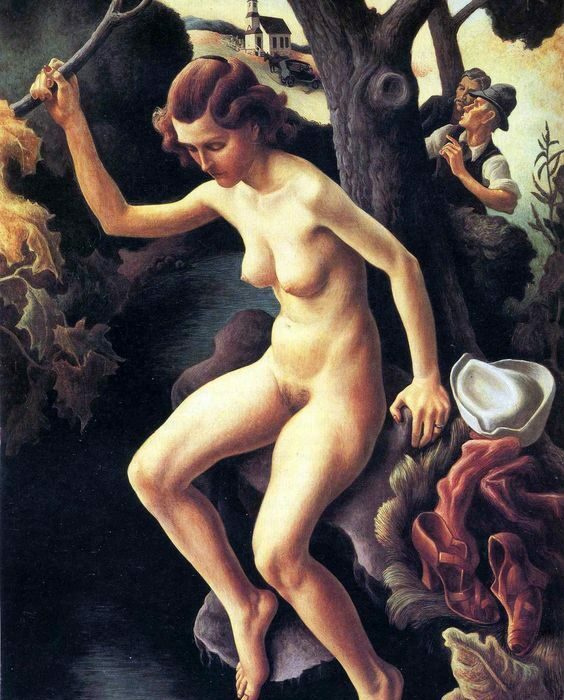 At the age of 19 Benton traveled to Paris where he studied at the Académie Julian and remained for 3 years. 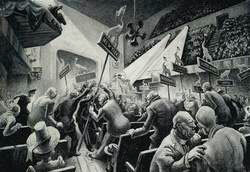 In 1912 he returned to the U.S. and set up a studio in New York at 65th St. and Broadway, where he supported himself by painting movie queens for $7 a day. 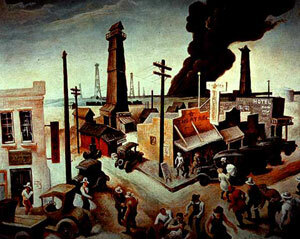 During World War I Benton served at the Naval Base in Norfolk, Virginia. 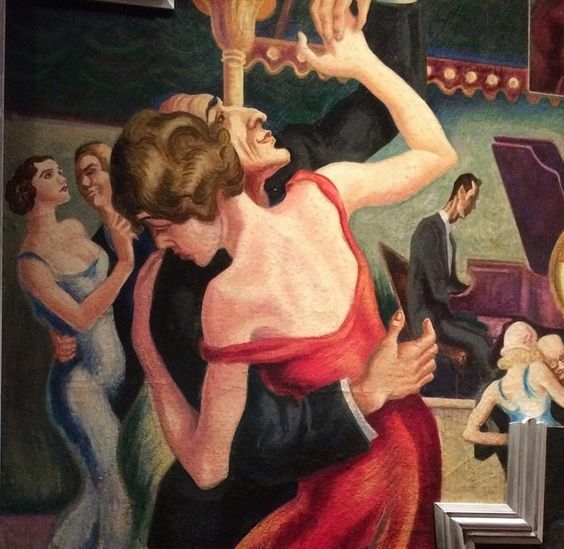 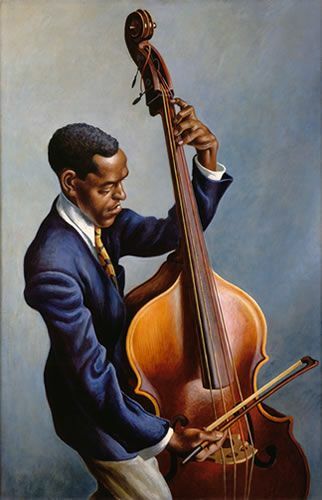 In the 1920’s and early 1930’s, he taught at the Chelsea Neighborhood Association, in public schools, and at the Art Students League in New York. 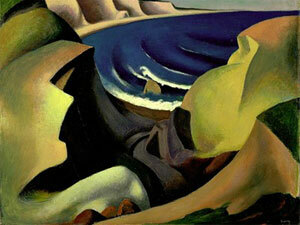 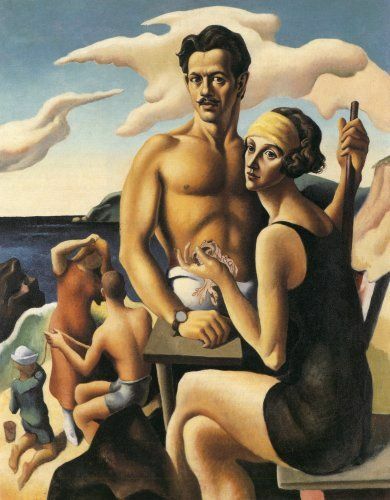 On 19 February 1922, Benton married Rita Piacenza, one of his students. 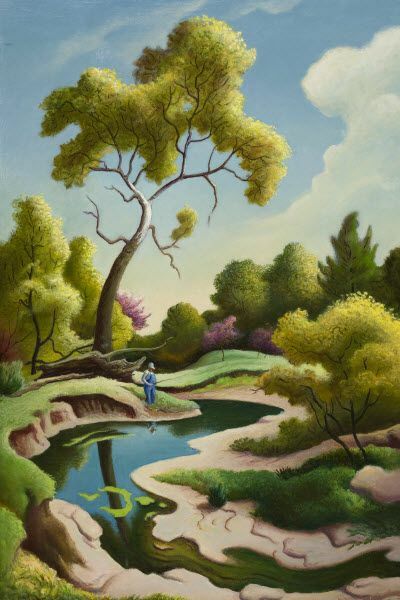 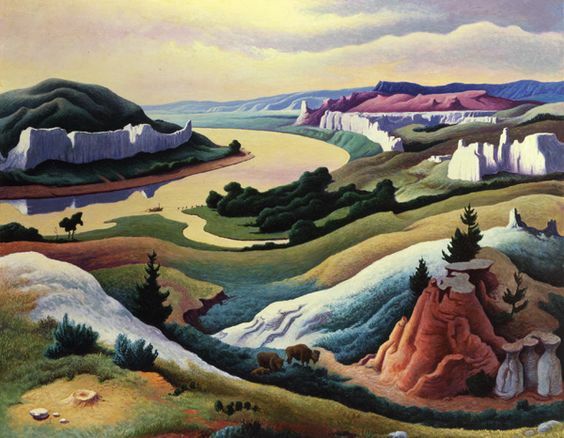 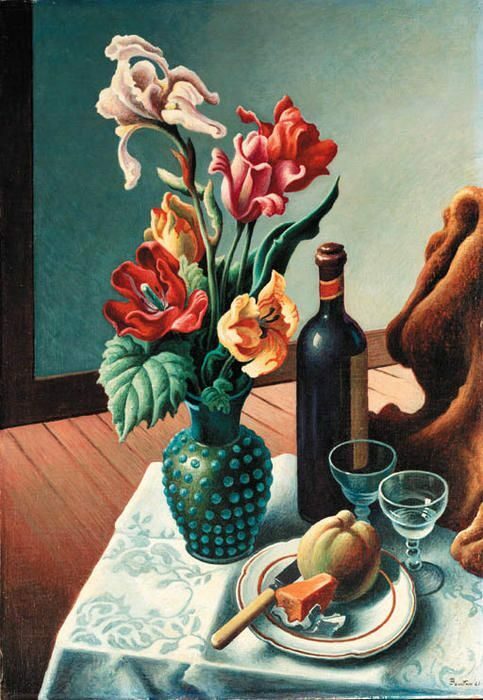 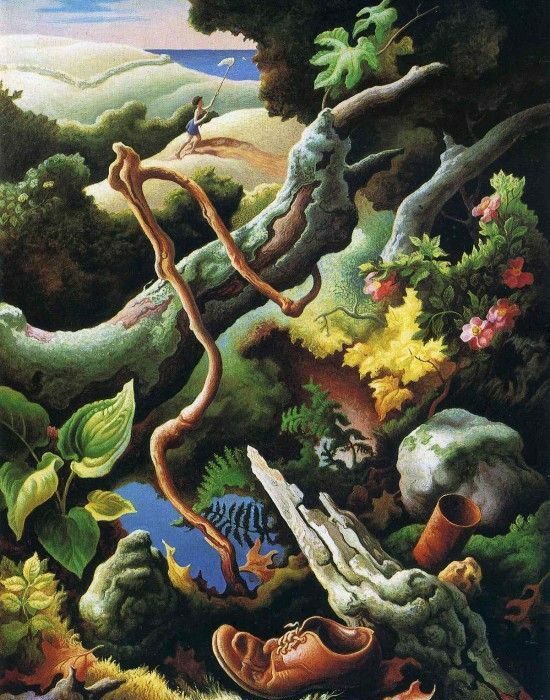 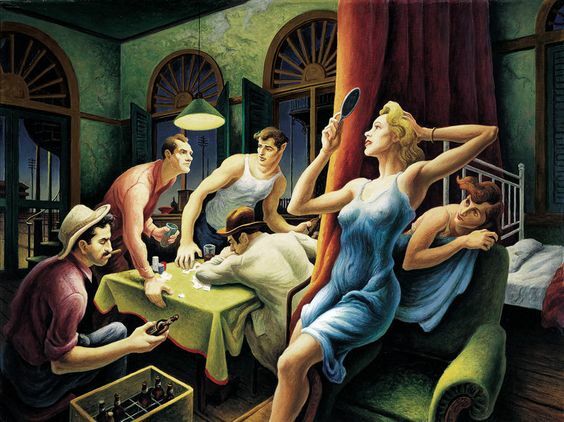 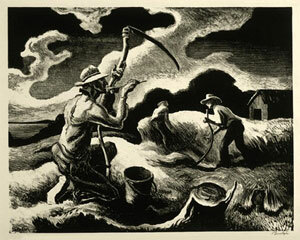 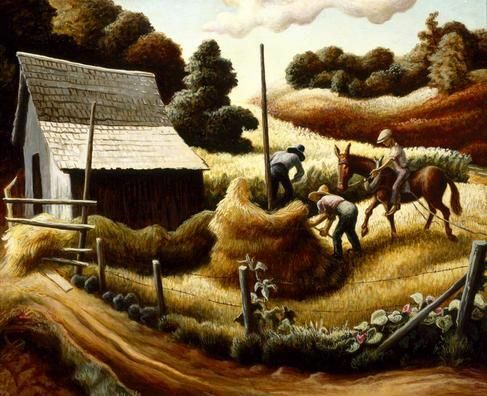 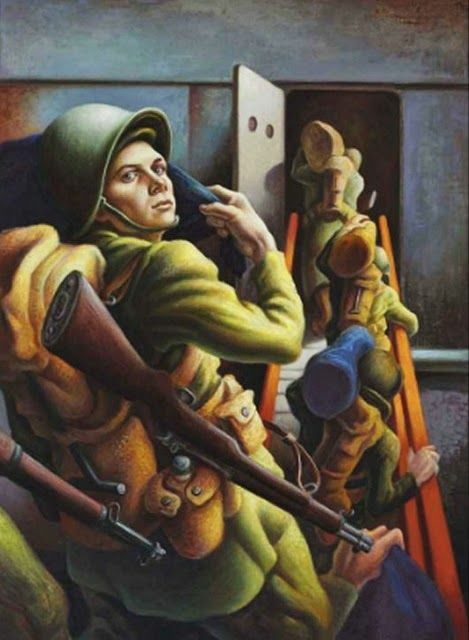 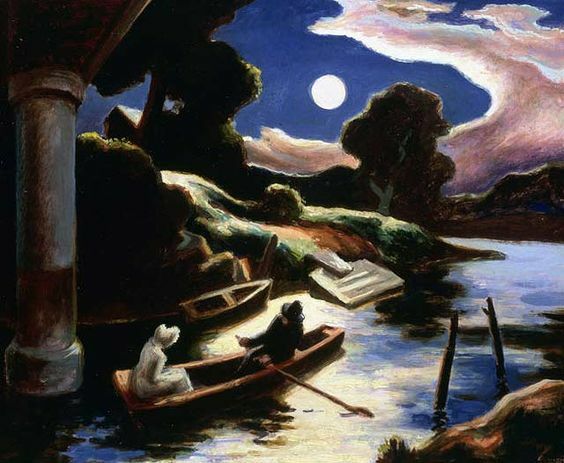 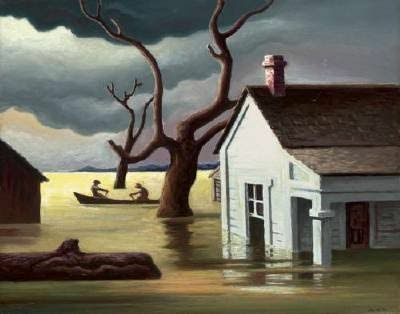 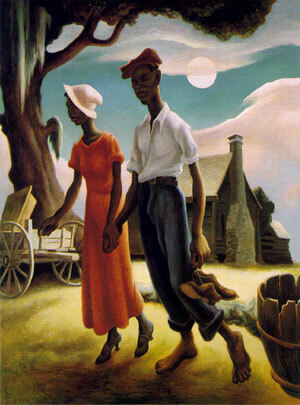 In 1935 they moved to Kansas City, Missouri, where Benton directed the Art Institute until 1941, and where he continued to live for the rest of his life. 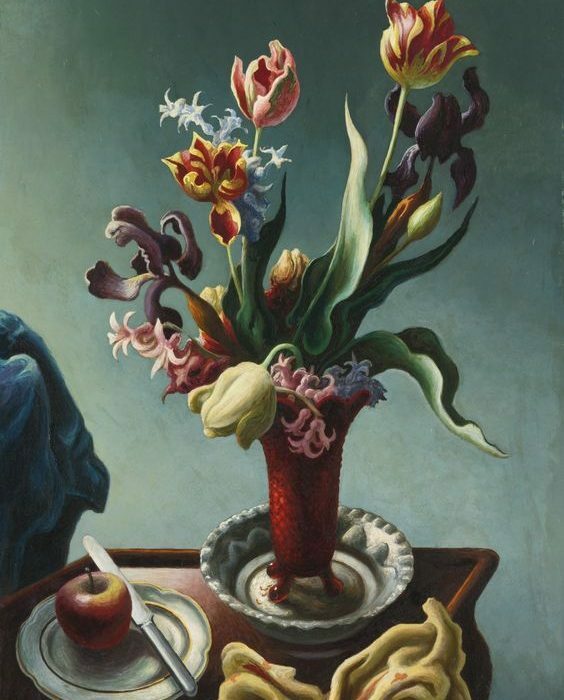 Albert Barnes, the Philadelphia collector, purchased some of his paintings, which raised the level of public success for the artist. 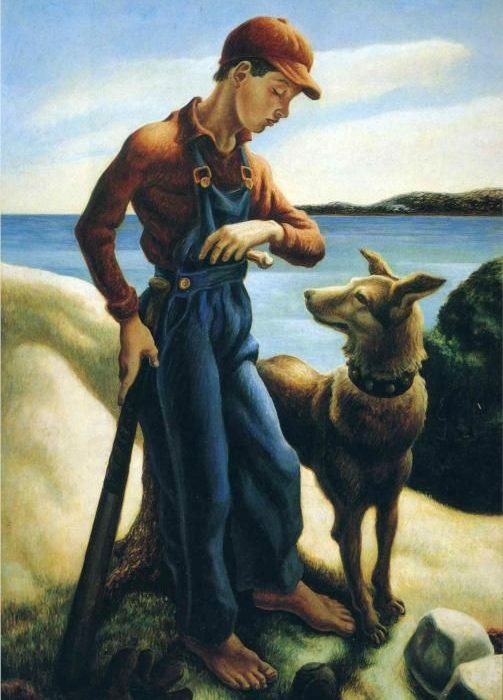 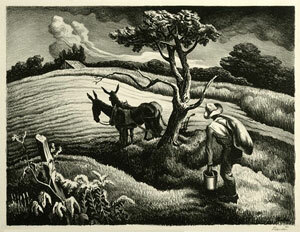 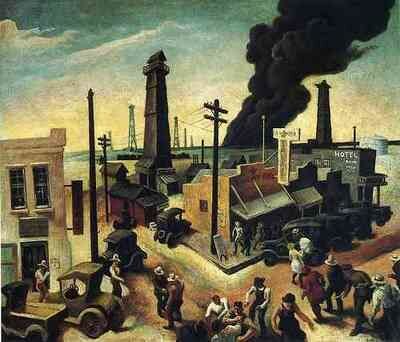 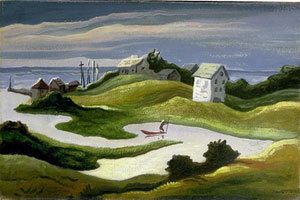 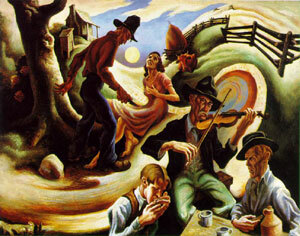 Benton published his autobiography, An Artist in America , in 1937. 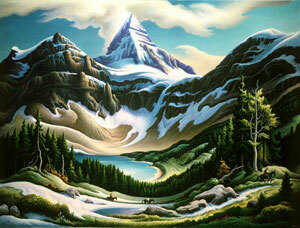 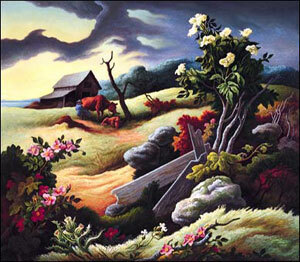 He completed several murals in the midwest and on the east coast. 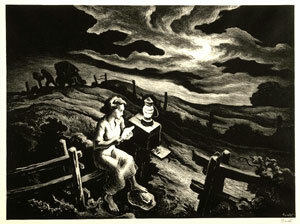 Shortly before Harry Truman’s death in December 1972, Benton finished a portrait of the former President. 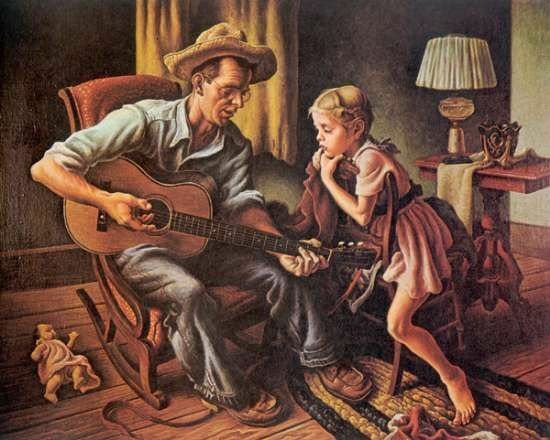 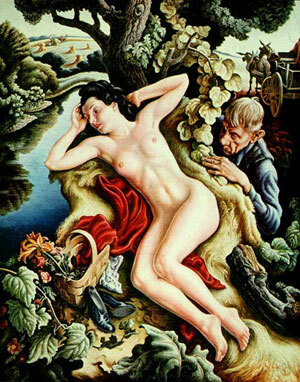 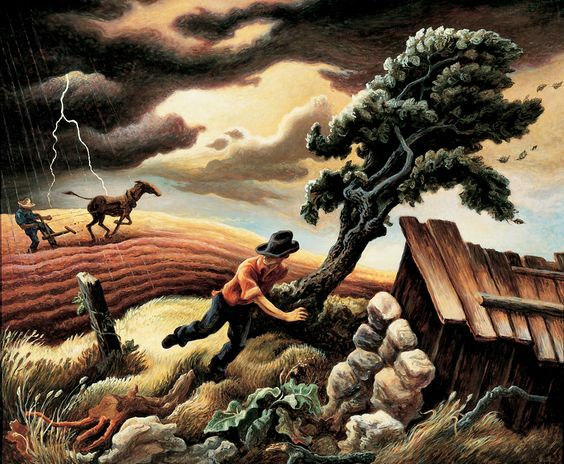 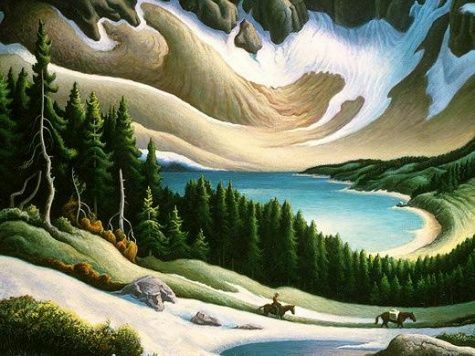 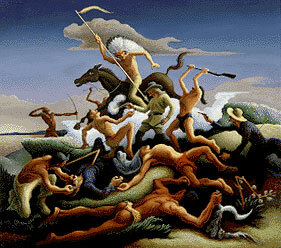 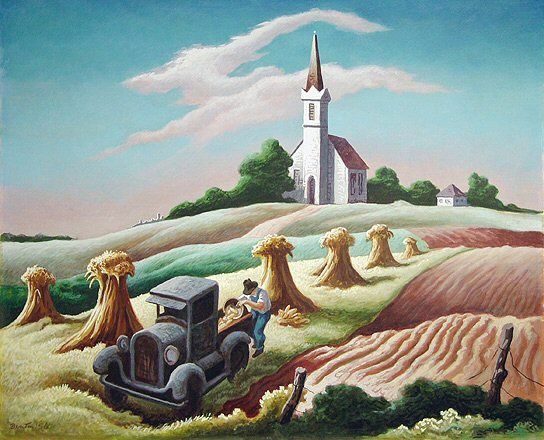 Thomas Hart Benton died on 19 January 1975 in Kansas City, the day he completed a large mural for the Country Music Foundation of Nashville.